It’s a beautiful day in the neighbourhood. 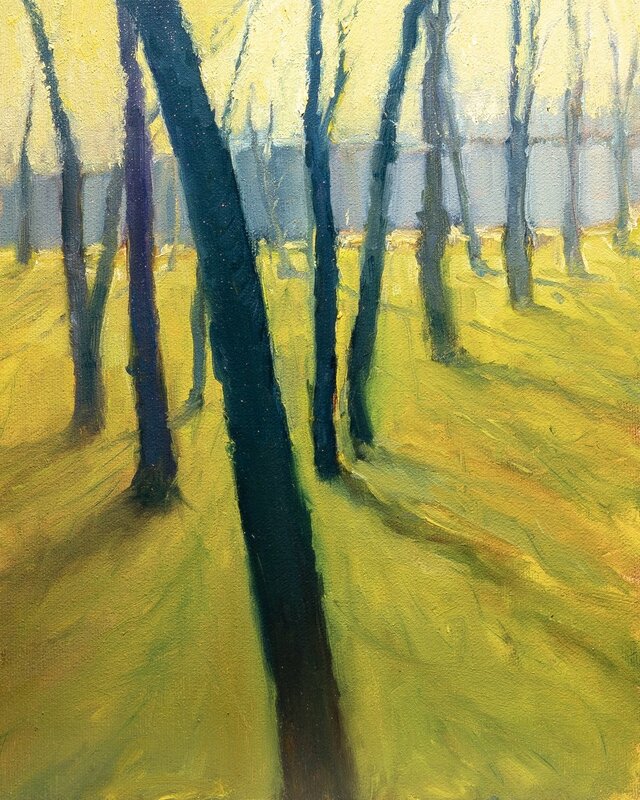 Sometimes some outdoor paintings need a bit of tweaking in the studio, and this one was one of them. 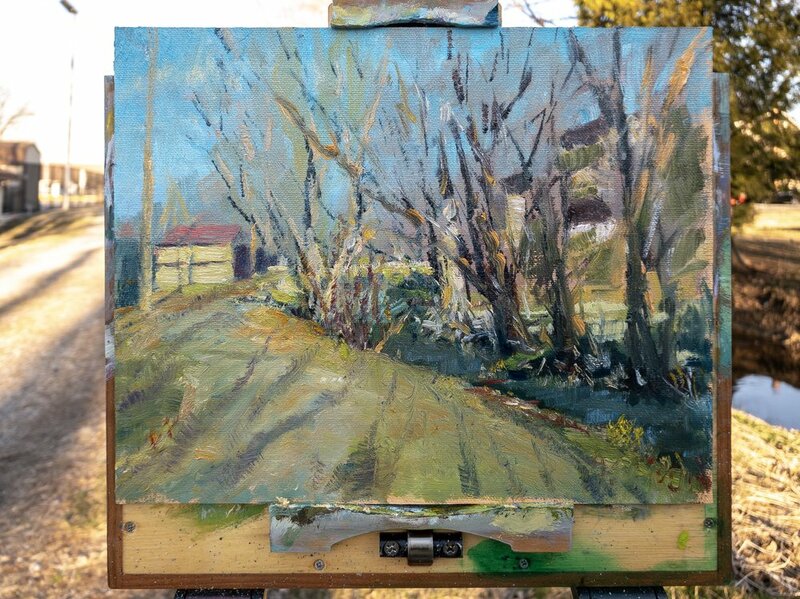 I usually do not like to tweak my plein air paintings because it seems to loose its feel of spontaneity. But I was restless, so tweaked I did, and very carefully. I am rather please with it. Now off I go to Race and Cypress Streets to tackle a tree that I have been itching to do since moving to Kennett Square in 2014. It’s a beautiful day in the neighbourhood. It’s a restless day. After returning from painting outside of Chester County Hospital, I did a few more tweaks to the previous painting from early in the morning. I will post it tomorrow, just in case I have a few more tweaks to make. 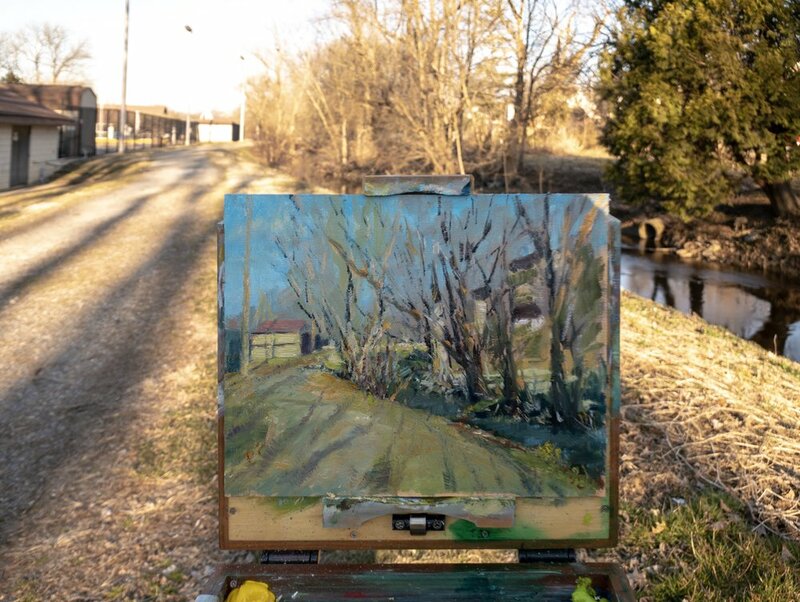 Still restless after tweaking the painting from this morning, I went back outside to paint around the corner on Red Clay Creek.